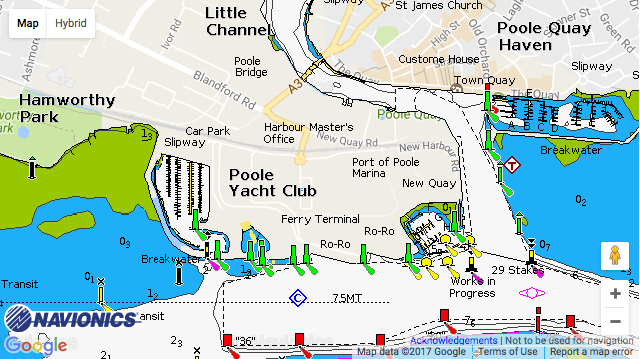 Port of Poole Marina: Port of Poole Marina is situated just off the main channel and is a short walk from Poole Quay. Free parking is available onsite and a water taxi runs across to Poole Quay Boat Haven upon request (hours vary during the year). VersaDocks are available for jet skis and RIBs. Six monthly and annual berths are available, as well as special winter packages.